TOYOTA is hard at work on an electric vehicle that can be recharged in a matter of minutes, it has rumoured. Toyota is working on an electric car powered by a revolutionary battery technology that allows it to recharge in minutes. Battery capacity and recharge times are some of the biggest gripes around current-generation electric vehicles, with motorists reluctant to ditch their diesel and petrol cars because of the drop in performance. However the new technology being developed by Toyota could solve these problems. This latest development, first reported by Chunichi Shimbun, could mark a significant development in the electric car industry and could be enough to convince motorists to switch. According to the report, the new electric car, which will be built on an entirely new platform, will use solid state batteries capable of recharging in minutes. Chunichi Shimbun did not name the source of the report. Current electric vehicles used lithium-ion batteries which need at best 20-390 minutes to recharge with fast charging. Typically these vehicles have a range of between 100 miles and 250 miles, which currently doesn't match up to the range fuel powered cars has. Toyota will aim to sell this new model in Japan by as early as 2022. 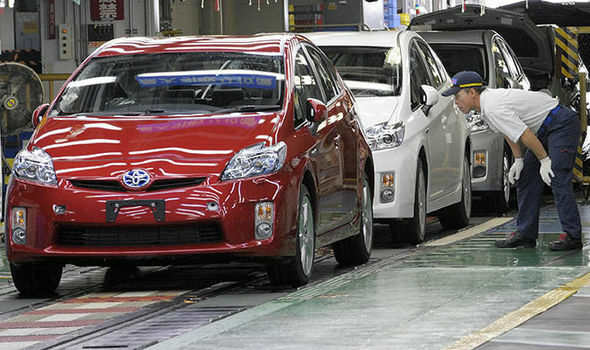 A Toyota spokesperson said that the company could not comment on the report at the moment. The Japanese car manufacturer already develops a number of electric and hybrid vehicles, most notably the Prius, so battery technology is not alien to the company.